temperature, etc… Because so many have created their own templates for it, there is a pretty good base for nearly any network or server system. 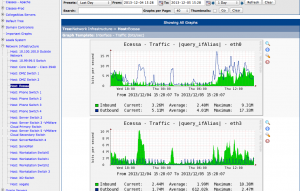 So, in this article, we will Install Cacti On CentOS 6 with Step by Step directions. 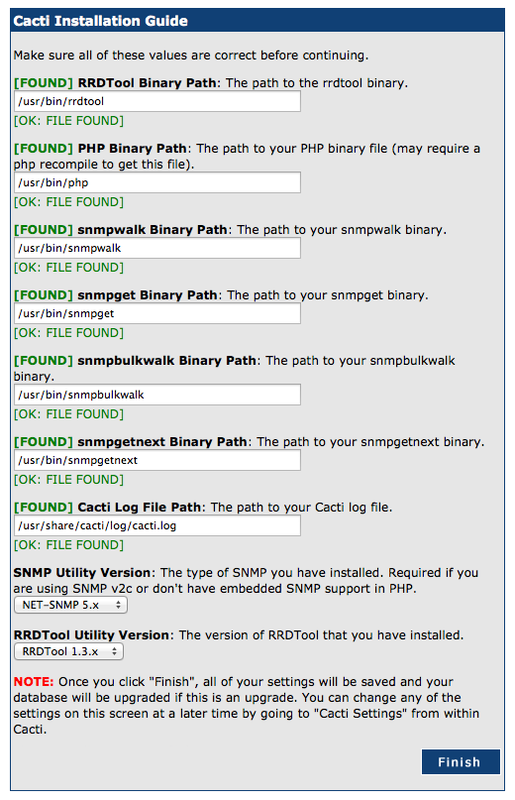 There are several steps that you need to take to get cacti running on your system. I break it out into several steps because you may have some of these items already installed on your system. Before I forget, I need to remind you that you will want to be able to access cacti after it is installed, so, be sure to modify your iptables firewall to allow access to your Apache httpd port. 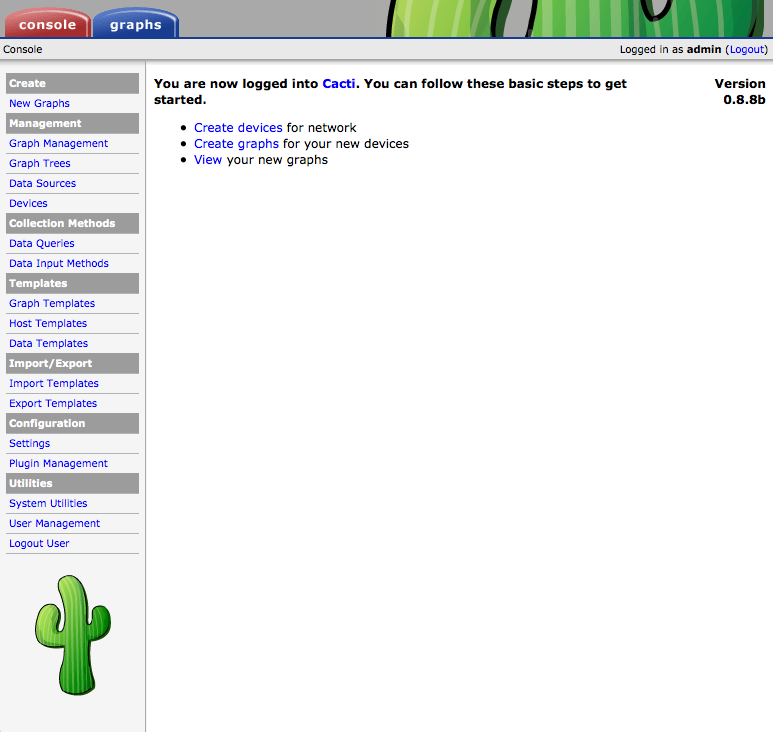 The above steps created the cacti database and then created a user named cacti with a password of cacti that can connect to the cacti database itself. Finally! 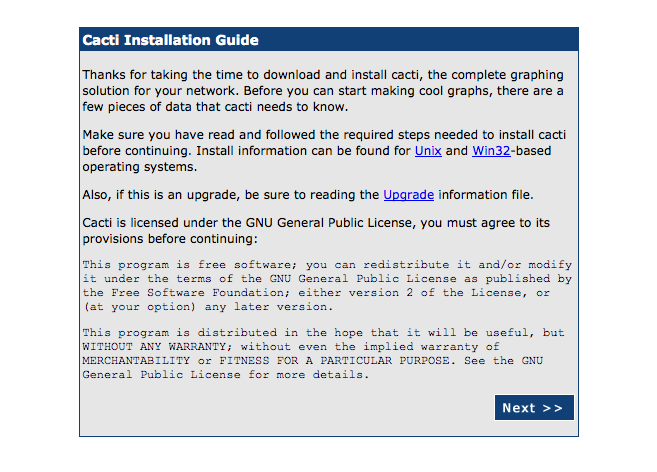 all of the prerequisites have been installed, now let’s install cacti itself. That almost completes the real work. If we did all of the above right, then the rest is way simple! You should arrive at this page next. 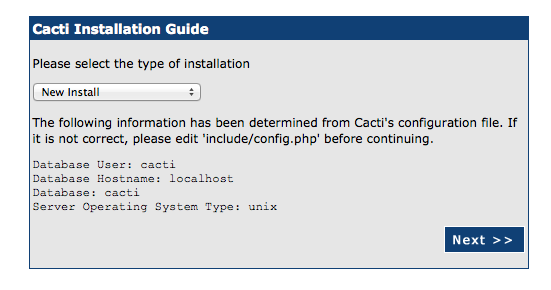 Since we are installing a new instance of Cacti, choose the “New Install” option and then hit the “Next Button”. Cacti will now go and look for all of the packages that it depends on to make sure they are present. If we did our homework above, then everything should be “green” and “found”. 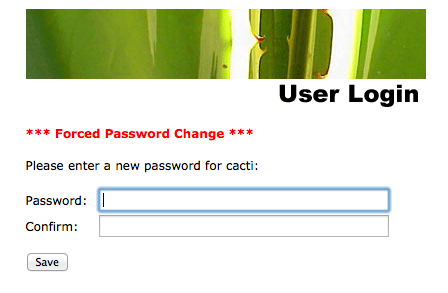 Cacti will then have us login. Use the userid/password of admin/admin. Set your password and hit the save button. Logged in to Cacti Finally! These steps installed Cacti Version 0.8.8b. 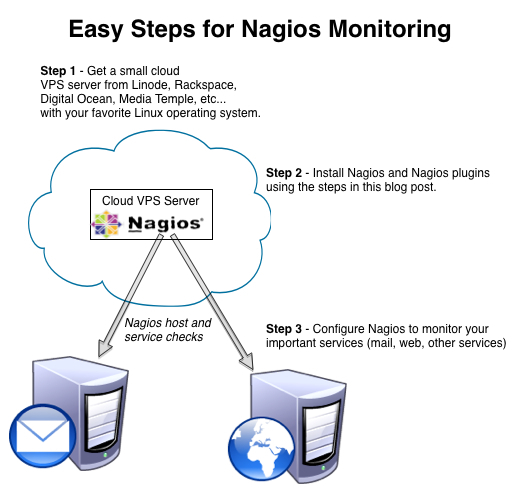 You are now read to add devices and get monitoring! Watch for more articles on adding different types of devices into cacti here at http://www.uptimemadeeasy.com.